Three or 4 days. Kayak Foundations refines boat control in calm water for comprehensive ownership of skills. It also fosters awareness and moves the paddler towards greater independence. Use edges to turn, brace for support, move sideways, pivot, move forward with efficient core power, maneuver in reverse, assist others with deep water rescues. Plan and do a safe sheltered-water journey. Depending on conditions, it may include an introduction to understanding how wind affects your boat, and how to compensate. Covers BC Paddle Discover/Explore, ACA Level 3. 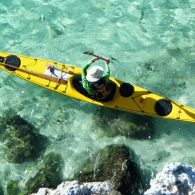 A 6-day trip in the Loreto Islands helps you transition from Foundations into Sea Paddler. Learn in context of a camping trip, planning each day, packing the kayaks, and applying skills in the conditions that arise. 6 days. 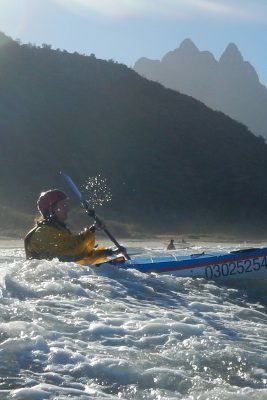 Sea Paddler develops an understanding of the sea environment. 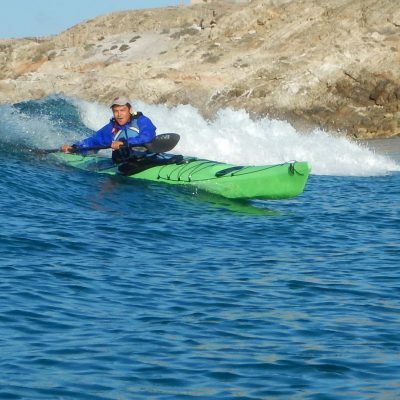 Coupling that with an existing foundation of boat control skills, Sea Paddler introduces kayakers to wind, waves, and surf. A good foundation of boat handling and basic rescue skills is required before taking this course. Cover more miles with a better forward stroke and an understanding of how to use the wind and waves instead of fighting them. Become an asset to a group, and better able to take care of yourself through awareness, risk management, and safety skills. 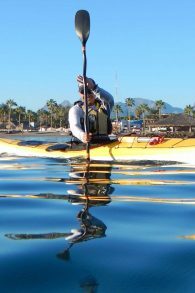 Covers BC Sea Kayak Award, ACA Level 4.